carol j. phipps | all galleries >> Galleries >> Soul & Spirit > Memories. Faded beauty,leaving behind just a hint of former glory. Really lovely texture and colour. It certainly goes well with this season as well. Nice work. An excellent way to illustrate memories. 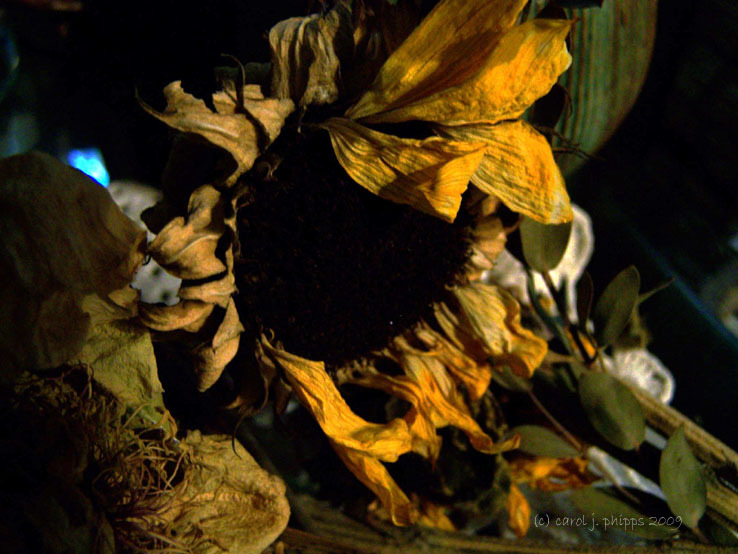 Beautiful shot of this sunflower in its last days. Beautiful ending to summer! There is so much beauty in a dying flower. Lovely shot, it'll be back. Nice warm light on this, brings out the beauty! A beautiful memory of Summer's beauty.